Historical Lahaska United Methodist Church currently has 106 members and is a small, caring and supportive community seeking to live the Christian life. The sanctuary seats 100 people and offers an opportunity for sharing and getting to know others. Our average weekly attendance is 55-60 members, from ages 1 - 90 years old. Our Growing Families and Grandparents Worship together and share a common joy in Christ. Historical Lahaska United Methodist Church is committed to the Healing of Mind, Body and Spirit. Healing Services are held regularly and all are welcome to share the joy of Christ the Healer. Peter and Mary Johnson lived at the corner of Street Road and Route 263 and opened their home to the people of the community to begin a Methodist class meeting. Peter led the class meeting until in 1851, until Rev. Malcolm H. Sisty led the group. At that time Rev. 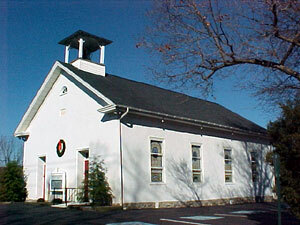 Sisty led efforts to erect a stone church building on the Solebury side of Street Road at the cost of $1,000. 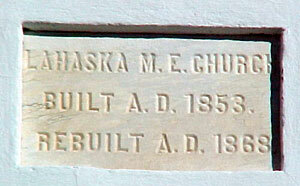 The land was purchased and the church was built in 1853. Thus began a ministry to serve Christ and the people of Lahaska. We are here today to remember, celebrate and again proclaim Christ as Savior and Lord.